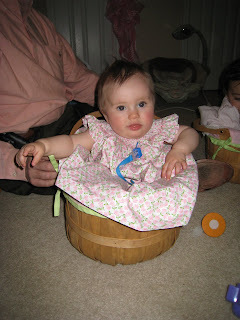 This morning Lucy got up to see what the Easter Bunny had brought her. 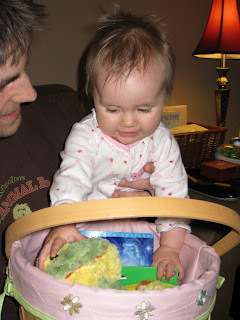 She got so excited to see the stuffed frog and other little gifts. 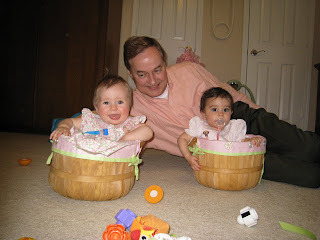 GrandCookie and Papaw came over for Easter Lunch and they also went to church with us this morning. Here are the girls with their mommas at Aunt Laura's house. 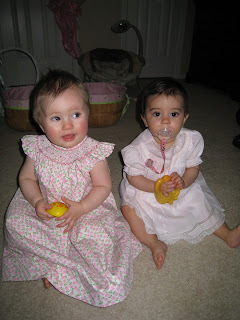 Lucy and Emma in their Easter Dresses. 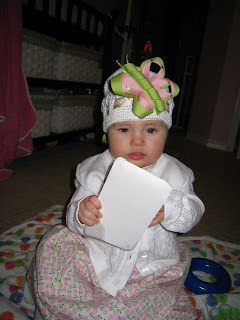 Emma liked Lucy's hat so much that she pulled out her own. I think they look so cute! 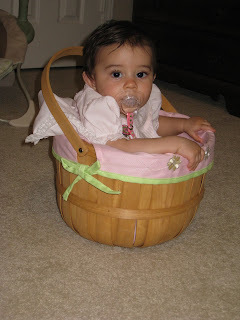 Emma in her Easter Basket. i love the butterfly bow. so cute. i guess she probably found that in Arkadelphia? i will have to try to reproduce that. Happy Easter! 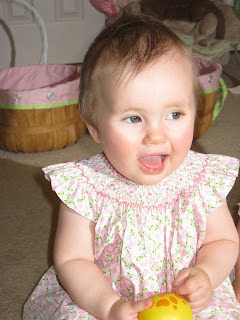 I am missing Lucy-girl so much! It's harder to leave her every time we see her! I hope her little ear is better. 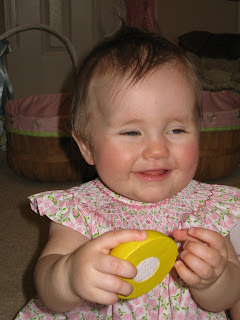 After looking at her little pink cheeks in the pictures....she may have had a touch of fever on Sunday. Wasn't she a good girl even though she was feeling bad? Love to all of you!